Halloween is just a few days away. ASPCA Pro has a few pointers for us when it comes to Halloween safety and our pets. Keep candy in a safe location away from pets. Kids often keep candy in their rooms hidden away after trick-or-treating. A dog has a keen sense of smell and can find even the most cleverly hidden treats. Contact your vet right away if your pet eats any candy - especially candy that is chocolate or contains xylitol. Don't keep glow sticks lying around. Glow sticks are often used at Halloween to keep kids safe. They are especially attractive to cats. Although many are labeled non-toxic, don't leave them around for your pet to bite into. They do have an extremely bitter taste. Visibility and identification are important. 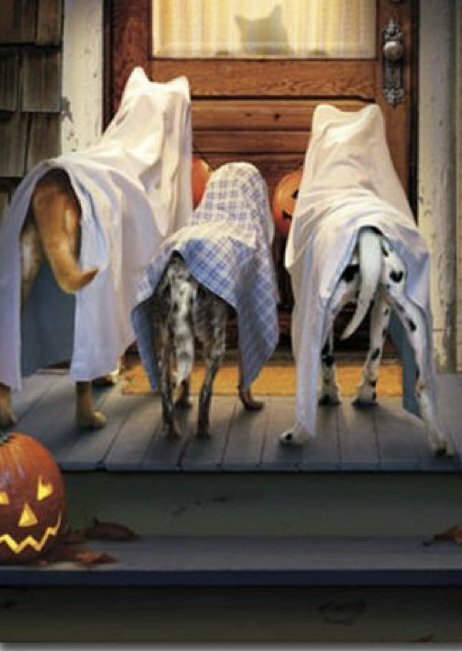 With the large crowds and spooky costumes, it is possible for your pet to get scared and run off. It is important to make sure your identification is on your pet and up to date. Make sure your dog is leashed securely. It is also a good idea to have a reflective collar on your pet if you are out with them after dark. Even those pets that stay home on Halloween night can experience anxiety over the many visitors and their costumes. 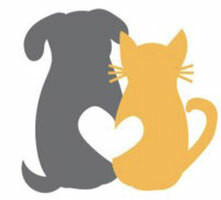 Keeping them in a separate room may help --but if you think that may not be enough, speak to your vet ahead of time about other options to help calm your pet. If you plan on dressing your pet up this Halloween, make sure the costume fits well and doesn't slip or cause a choking hazard if chewed on . You should NEVER leave a pet unattended when wearing a costume.